Vtiger has two types of users – admin (or super users) who have access to everything and can create other users – other is standard users who have limited access and whose access rights can be decided by the admin users. There is a Manage Users section in vtiger where you can view/create/edit/delete users. You can access this section only as an admin user. 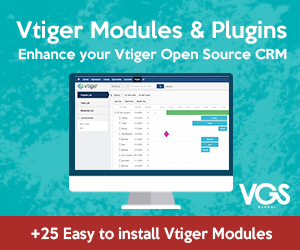 View existing users – You can see the list of existing users for vtiger and also see their details by clicking on the user name. Add new user – You can add a new user for vtiger here. Just click on the Add User button, fill the form that comes up and hit the Save Button. Edit existing user – You can edit the details for an existing user by clicking on the edit user link in the list of users. Delete existing user – You can delete an existing user by clicking on the delete user link in the list of users. Once you delete a user, you would need to assign his records in the CRM to some other user.